Jill Of All Trades: Think twice before getting a dream catcher! Dream catchers are pretty, unique and make a great addition to our home decor. Everyone is getting one nowadays, small or big, in different colours. Some of you even make your own awesome dream catchers. And then we have dream catcher necklaces and earrings, tattoos, printed T-shirts and the list goes on. 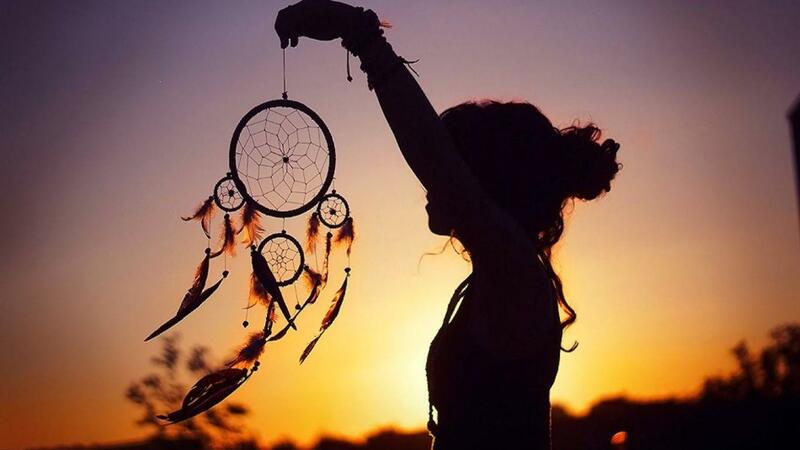 But have you ever stopped for a moment to know the real meaning and reason of the innovation of a dream catcher? Like all other excited people, I also bought a pretty looking dream catcher off the internet, and once it arrived I immediately hung it in my room, took a nice picture and instagrammed it.. You know the drill. An acquaintance (my colleagues friend) who follows me on instagram, happened to see the image. She passed on a message to me via my colleague that I should take the dream catcher down. I was a little taken aback at that. Why would I do it? I'm not someone who believes in superstitions easily. But she said that if there are babies and small children sleeping in the room, the dream catcher should be removed. Because such small humans can't even tell us if they're having any side effects. 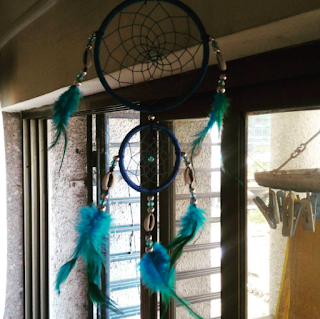 I made a mental note of removing the dream catcher and putting it in the living room, coz even though I don't believe in the superstitions, I didn't want to take any chances with my li'l one. And then, in my chaotic routine and work, I completely forgot about it. A couple of days later my baby fell ill with viral, cough cold and fever. Now this is a usual, happens to every kid, has happened to him before also, so I did what I always do, treat it. Then we were off for a vacation - to Goa for a week, and I was glad my baby's health was back to normal. We had a fun vacation and he absolutely enjoyed the beach. We got back and after a couple of days he fell ill again. This time he had stomach infection, high fever, cough and cold, everything. The poor thing stayed unwell for 4-5 days, vomiting and becoming weak and me taking him to the doc again n again. One of these days (I had taken a leave from work to tend to my baby) it suddenly hit me that the dream catcher was still there. I immediately took it off and kept it inside. My kiddo got well in a couple of days. Now this could be a pure coincidence. But it could also be something more supernatural. Who knows? All I'm trying to say is, when it comes to delicate matters like Feng shui, vastu shashtra, etc, we should do our research and homework and ask experts before we go buy and install anything in our home. I would love to know what is your opinion and if you have had any such similar incidents! In a country like India, vastu shastra services is considered one of the basic requirements while constructing a property or building according to pre-specified principles. It is necessary to follow these principles for wealth, health, fame and prosperity in life. Though it has become difficult to follow each and every principle in the present era, it is important to make maximum use of tenets in order to achieve peace and harmony in life.